A recent paper from BPI’s Francisco Covas and Bill Nelson, titled “Current Expected Credit Loss: Lessons from 2007-2009,” is in the Top 10 recent downloads for commercial banks on SSRN, a leading website dedicated to sharing academic quality working papers. The paper demonstrates how the Current Expected Credit Loss (CECL) accounting standard will make the next recession worse. Specifically, the paper analyzes the performance of CECL had it been in place during the 2007-2009 financial crisis and finds that it would have been highly procyclical, amplifying the contraction in bank lending and the severity of the past crisis.For example, the paper shows that when originating a $500 thousand mortgage loan a bank would be required to book an immediate loss of $3 thousand in good times but $30 thousand loss in bad times, at odds with CECL’s intended purpose of being countercyclical. Join us this November 26-28 in New York for the commercial banking industry’s leading conference, which is jointly-hosted by BPI and The Clearing House. The conference brings together over 600 bank executives, regulators, policymakers, and academics for an in-depth discussion focused on the key issues for the country’s commercial banks. The program features over 20 panel discussions and keynote remarks for a thoughtful look at the changing regulatory landscape and the future of payments. The OCC is currently accepting applications for limited-purpose fintech charters and if an application meets the requirements, the OCC plans to issue a charter, despite the threat of a lawsuit from the Conference of State Bank Supervisors, says Grovetta Gardineer, senior deputy comptroller for compliance and community affairs at the agency. On Tuesday Beverly Hirtle, the Director of Research at the FRB-NY, gave a speech at the 2018 Federal Reserve Stress Testing Conference in Boston in which she provided a review of the current supervisory stress testing regime. Hirtle mentioned several shortcomings of stress tests, such as the use of a single scenario (BPI agrees, see here), lack of integration of capital and liquidity stress tests at the bank level, and the exclusion of feedback effects between the macro scenario and banking sector responses. Hirtle also said more work is needed to improve supervisory models, assess the uncertainty around projections under stress, and develop simpler models to make stress tests more dynamic. At the end, she also mentioned the need to assess the costs and benefits of stress testing including its impact on lending and how it affects the cyclicality of capital requirements. Aiming to lessen the distance to clients in hopes of increasing its deal making, Goldman Sachs is starting or expanding offices in Toronto, Dallas, Atlanta, and Seattle, a Monday CNBC.com article reports. The move is part of a broader plan that aims to increase revenue by $550M by 2020. Goldman Sachs’ other plans to boost revenue include an expansion into retail products and heightened focus on smaller markets. BPI’s BITS division held its Fintech Ideas Festival Policy Summit on Wednesday in partnership with Money 20/20 and Promontory. Craig Phillips, Counselor to the Treasury Secretary, and Paul Watkins, Director of Innovation at the Bureau of Consumer Financial Protection, both gave keynote remarks that provided insights into current FinTech related efforts including ensuring that regulation keeps up with the fast pace of innovation without stifling new growth opportunities. Panelists included regulators, CEOs and other executives from fintech firms and leading financial institutions. Conversations focused on: the shifting regulatory landscape, innovations in digital identity, using data to optimize customer experience, and the importance of rationalizing regulatory requirements across jurisdictions. On Wednesday, BPI submitted a comment letter to the FDIC regarding its review of Financial Institution Letters to identify those that can be retired. BPI commended the agency on its efforts and encouraged it to seek other opportunities to retire or revise its guidance. BPI also provided a copy of the comment letter to the Federal Reserve and the OCC, encouraging those agencies to follow the FDIC’s example in review of their guidance documents to identify those that are no longer necessary or warrant revision for policy reasons. 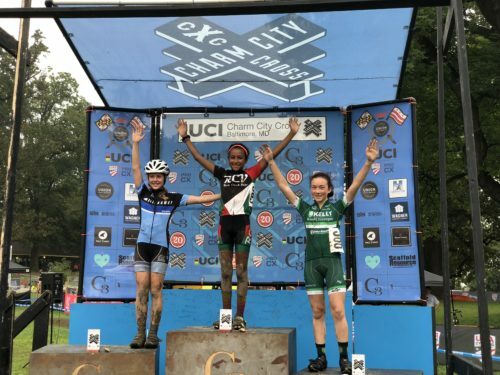 We are proud to report that Emma Covas, daughter of Francisco Covas, BPI’s head of research, won the Charm City Cross Day 2, October 7, 2018 Women Juniors 13-14. On October 11, FinCEN issued an advisory to help financial institutions “better detect potentially illicit transactions related to the Islamic Republic of Iran” ahead of the full re-imposition, on November 5, of U.S. sanctions previously lifted under the JCPOA. The advisory discusses several ways in which the Iranian regime may access the financial system including, “misusing banks and exchange houses, operating procurement networks that utilize front or shell companies, exploiting commercial shipping, and masking illicit transactions using senior officials, including those at the Central Bank of Iran (CBI),” as well as using precious metals and virtual currencies. The advisory also acknowledges that “foreign financial institutions will be subject to correspondent or payable-through account sanctions for conducting or facilitating certain significant financial transactions with the CBI,” pursuant to the National Defense Authorization Act for Fiscal Year 2012. In a policy paper published Thursday, the IMF and World Bank Group launched their Bali Fintech Agenda, a framework comprised of 12 policy elements they urge countries to consider in domestic fintech policy discussions. This framework covers topics broadly related to “enabling fintech, ensuring financial sector resilience, addressing risks, and promoting international cooperation.” The IMF and World Bank will now begin work on more specific fintech issues, focusing respectively on implications for monetary and financial stability and the global financial safety net, and on using fintech to deepen financial markets, expand access to financial services, and improve cross-border payment systems. The Senate last Thursday passed H.R. 3359, the Cybersecurity and Infrastructure Security Agency Act of 2018. The bill will rename the current National Protections and Programs Directorate (NPPD) as the Cybersecurity and Infrastructure Security Agency (CISA) and reorganize it into an operational agency of the Department of Homeland Security (DHS). NPPD is currently a component of DHS’s headquarters office. DHS officials have stated this is more aligned with their responsibilities and expect the change will better communicate their cybersecurity mission to the private sector and solidify the agency’s role in civilian cybersecurity. The bill passed the House last December by voice vote but will need to be approved again due to minor changes made by the Senate. John Thune, Chairman of the Senate Commerce Science, and Transportation Committee, signaled his interested in federal data privacy legislation. Witnesses at the hearing, titled “Consumer Data Privacy: Examining Lessons from the European Union’s General Data Protection Regulation and the California Consumer Privacy Act,” supported the proposition that Congress create standards to secure privacy of personal information. Nouriel Roubini from the New York Stern School of Business told the Senate Banking Committee during a hearing, titled “Exploring the Cryptocurrency and Blockchain Ecosystem,” that “Crypto is the mother or father of all scams and bubbles” and was negative on cryptocurrency and blockchain networks, arguing that these networks are non-scalable, unstable, and inherently illegal. According to Roubini, cryptocurrencies and blockchains do not provide a long-term benefit and only help criminals, terrorists, and manipulative actors. Taking the opposite position, Peter Valkenburgh, director of research at the Coin Center, argued that crypto provides a different avenue for consumers. Valkenburgh further argued that the risks associated with these networks are almost identical to those posed by traditional banks. During the week of November 12th, the Senate will vote on the confirmation of Michelle Bowman, of Kansas, to be a Member of the Board of Governors of the Federal Reserve System for the unexpired term of 14 years from February 1, 2006. The Senate Committee on Banking, Housing, and Urban Affairs has postponed an October 18 hearing entitled, “Oversight of Pilot Programs at Fannie Mae and Freddie Mac.” The witnesses will be Ms. Sandra Thompson, Deputy Director of Housing/Mission/Goals at the Federal Housing Finance Agency; Mr. Timothy Mayopoulos, CEO of Fannie Mae; and Mr. Donald H. Layton, CEO of Freddie Mac. This Federal Reserve Bank of New York blog evaluates the effect of the Consumer Financial Protection Bureau’s oversight on the supply of mortgage credit. The authors, Andreas Fuster, Matthew Plosser, and James Vickery, take advantage of the fact that banks with less than $10 billion in total assets are generally exempt from CFPB oversight. This allows them to compare banks just under and just above the threshold, before and after the CFPB begins to operate in July 2011. They find that CFPB oversight has no noticeable effect on mortgage lending volume, but that CFPB-supervised banks shift away from making loans to riskier borrowers. This Harvard Public Law working paper provides an overview of short-term wholesale funding in the US financial system. The authors, Brian Johnson and Hal Scott, highlight the tradeoffs: runs on short-term liabilities are a key feature of all financial crises, but short-term funding also boosts efficiency for both borrowers and lenders. They find that regulation cannot determine the ideal level of short-term funding in the financial system as that level is likely cyclical. Instead, they encourage regulators to focus on minimizing the risk of runs and panics. This Federal Reserve Bank of New York blog summarizes a recent staff report that examines why banks focus on return on equity rather than other measures of performance. This was not always the case: prior to the 1970s, banks targeted earnings-per-share much like nonfinancial corporations. Using a model of a bank that includes both deposit insurance and charter value, the authors find that conditions like those that occurred in the 1970s (increasing competition and risk-insensitive deposit insurance) leads banks to hold less capital, making ROE look better and EPS growth look work. This Financial Deposit Insurance Corporation working paper investigates the effectiveness of double liability at constraining bank risk-taking and providing a safety net for depositors. Double liability is a system under which shareholders of failing banks both lose their initial investment and compensate depositors up to the current value of their shares. The authors model competing effects of double liability: a direct effect by which banks take fewer risks because shareholders have more skin in the game and an indirect effect by which banks take more risks because depositors feel safer and are less responsive bank risk-taking. They then test the model’s predictions by comparing banks with different liability rules, finding no that double-liability banks were no less risky than other banks prior to the Great Depression, but that double liability made banks less susceptible to runs during the Great Depression. This Federal Reserve Bank of New York blog analyzes the effects of tying regulatory capital to current market values rather than historical values, thereby making regulatory capital more volatile. As a part of the Basel III reforms, Advanced Approaches banks and other banks that chose to participate now include “accumulated other comprehensive income” when calculating regulatory capital. AOCI is the net difference between the market and book value of securities held for investment purposes. By examining security-level data, the authors find that banks have changed their accounting of risky securities to mitigate volatility in regulatory capital in ways that could limit banks’ ability to respond to a period of market stress.